My students and I are currently learning more about water in our world. Beyond, how essential water is to life, we are talking about access to water and more specifically, children’s roles in gathering water in places in the world where water is scarce or doesn’t flow from indoor taps. Based on a true story of drought and water shortages in Kenya and what it takes to secure fresh water for a community. This book is about worry and fear. Kindness and forgiveness. In the back of the book are actual photos of the community and people that inspired the book. Set in the Caribbean, this is the story of young Anna who strives to master the task of carrying water on her head. Children related to the desire to learn a physical skill and had discussions about the need to have to fetch water every day instead of just turning on the faucet. This story is beautifully illustrated and is, more than anything, a story of childhood: wanting to be grown up, wanting to be able to do what older siblings can do, wanting to face a fear. The diverse post that received the most clicks from the last #diversekidlit is … Diverse Children’s Book Celebrating Cultural Traditions by Adrienne at Reading Power Gear. She shares seven great picture books focusing on different cultural traditions including Divali, Chinese New Year, and more! This entry was posted in Diverse Children's Books and tagged Diverse Children's Books, diversity, Eric Walters, Eugenie Fernandes, Laura James, Olive Senior, water by carriegelson. Bookmark the permalink. 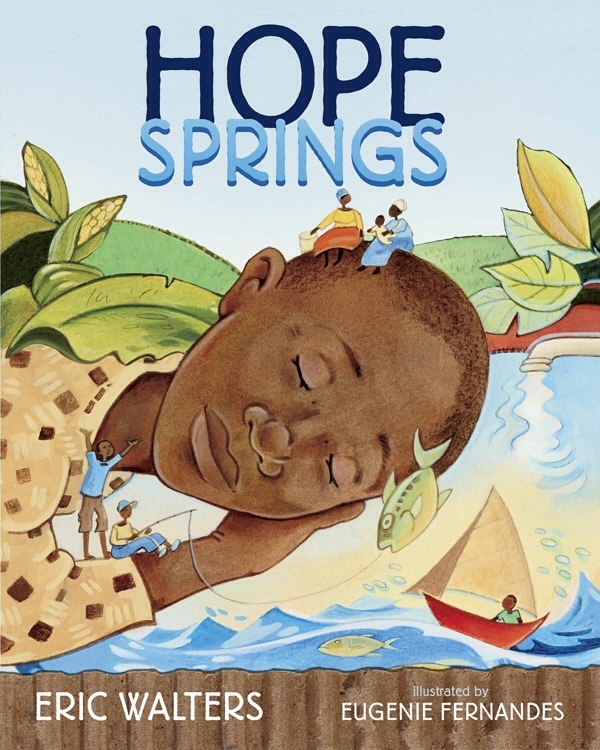 I already know and love Anna Carries Water – but Hope Springs is new to me and looks absolutely gorgeous (well, it already has a head start with its author/illustrator team!) – thank you for highlighting it. They are a great team! I have loved other titles they have done together too. After the water debacle in Flint, Michigan , I think we all look at water differently. These are great book for introducing young readers to the topic of water shortages in the world outside the US. Yes, my students have had a lot of questions and comments on these titles. These books look great and are new to me! I’ll keep an eye out for them. Thanks for co-hosting and sharing at Diverse Children’s Book Linky!! The work you do is so important!! What an interesting topic, Carrie! You are so inspirational about how you think of this world!